In association with Luex, Downdays is proud to present you 4 amazing ways to enjoy your next freeride trip to Japan. Make sure to visit their website for further information and trip advises. Famous for its incredible snowfall and rich culture, Japan is the ultimate destination for powder hungry skiers and snowboarders. There are many resorts in Japan, but increasingly skiers are looking to head away from the lifts and into the backcountry where you’re virtually guaranteed to find a blank canvas of the deepest, driest snow on Earth. Japan is made up of 4 islands; Hokkaido, Honshu, Shikoku and Kyushu. It’s on the two most northern islands – Honshu and Hokkaido – that all of Japan’s resorts are located. Generally speaking Honshu has bigger, steeper mountains whilst Hokkaido receives greater snowfall but has slightly more relaxed terrain. It’s worth just taking a minute to consider just how much it snows in Japan, and on Hokkaido in particular. Niseko receives around 15m of snow per season, now clearly that’s a lot of snow. But more remarkable perhaps is the fact that almost all of that snow falls between the middle of December and the middle of March. So, it’s not just the amount of snow that’s staggering but also the consistency with which it falls. In January and February in Niseko, on average, the number of days it doesn’t snow is less than one. In other words, it snows every day! And that happens every year. It’s as close to guaranteed powder as you can get. With stats like that it’s not hard to imagine that as soon as you step away from established resorts and into the backcountry, there’s going to be a lot of opportunities to ride powder. 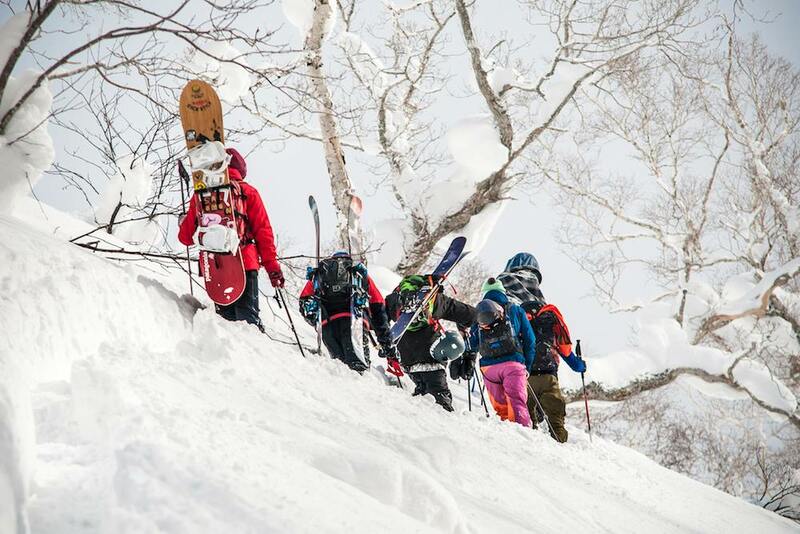 Here are some suggestions of how best to sample Japan’s backcountry terrain. Inbounds terrain may be getting tracked out but you can usually find untouched snow by going into the immediate backcountry surrounding the resort. Often this involves heading through a designated gate which may close during times of high avalanche danger or bad weather. The most well known of Hokkaido’s resorts, Niseko is actually made of four different centres which surround the main mountain. You can ride fresh pow inbounds in Niseko but things can get tracked out pretty quickly. To ensure fresh tracks all day long, head out into the surrounding backcountry. Having a guide who knows the terrain is a great idea. Getting lost in a forest full of neck deep powder would not be a good experience! 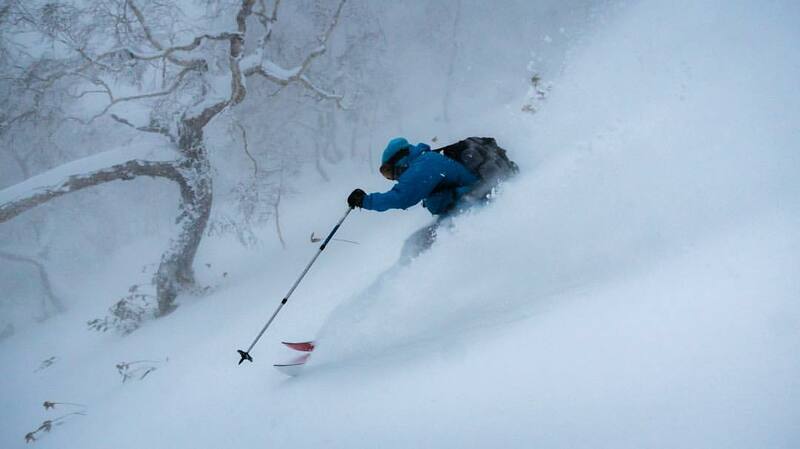 Around 45 minutes from Niseko, Rusutsu is the perfect place to ride powder off the lifts. It’s generally a little quieter than Niseko, and lift lines are rarely a problem, so powder stays fresh and untracked for longer. Rusutsu also has a good lift system which makes getting around easy. It’s a great spot for both experienced freeriders and those who are new to riding powder. Japan is the perfect place to earn your turns. With a good mix of forested areas for low light days and alpine zones when the sun makes an appearance, there’s always somewhere to head, whatever the conditions. The Tokachi Range in Daisetsuzan National Park, east of Sapporo, contains some great mountains for ski touring and splitboarding. Well away from the hustle of the established resorts, this is the place to head for some peaceful time in the skin track and, of course, some insanely deep snow. Mt Tokachi is a volcanic peak accessed from Tokachidake Onsen that provides a mixture of alpine terrain up high and classic Hokkaido trees on the lower slopes. This region has a reputation for perhaps the deepest snow in Japan so go prepared for some serious pow! Mt Yotei is a volcano that dominates the landscape around Niseko and is a great option for a day’s touring. Although the weather is often harsh above the tree line, get a good day and you’ll be in for a treat. A guide is highly recommended for the ascent as it’s potentially a long and serious day in the backcountry. The Hakuba valley is made up of several ski resorts that are worth a visit in themselves. However, it’s only when you venture into the backcountry in this region that the true potential of the place opens up. The terrain in Hakuba is quite different to that on Hokkaido. Here you’ll find spines, couloirs, cliffs and much steeper mountains in general. The area doesn’t receive quite as much snow as Hokkaido, but with an average of 11m a season you’re still guaranteed a fat snowpack and plenty of face shots. This is the place for the serious freerider who’s looking to shred big terrain in awesome snow. If earning your turns sounds like hard work then heli or cat skiing is the way to go. When the skies clear there’s nothing quite like heli skiing but as it snows so much in Japan, cat skiing is often the best option. 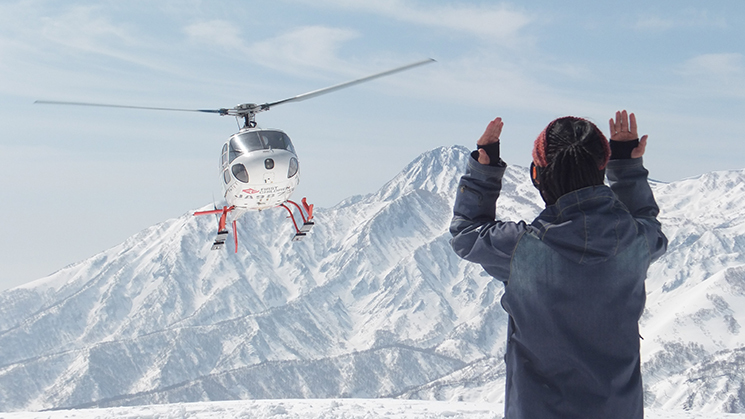 Hokkaido Backcountry Club organise both heli and cat skiing and guarantee plenty of powder to shred whatever the mode of transport on the day. Based close to Niseko where the snow is deep and light and the terrain is perfect for both cat and heli skiing. Shred run after run of the perfect pow without having to hike your lines. 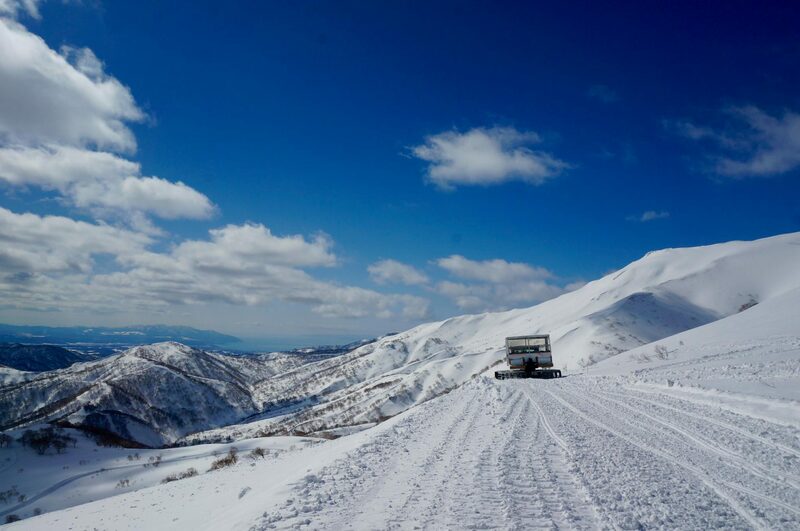 30 minutes from Niseko, Rising Sun Guides run cat skiing day trips to a zone in the Shiribeshi Mountains. Up to 8 runs a day, zero competition for powder and face shots every turn. Japan is home to the famous Car Danchi and many skiers and snowboarders choose to travel around in a camper van, seeking out the best pow from zone to zone. Both Hokkaido and Honshu provide stellar road trip possibilities. On Hokkaido it’s often possible simply drive around, park up and start skinning. With endless low altitude forests and trees to explore there are so many options to score powder. Central Hokkaido is also littered with small resorts that are perfect for linking up on a roadtrip. Legendary spots like Asahidake and Kurodake await the intrepid traveller with beautiful terrain and ridiculous amounts of snow. Asahidake has just one lift but it accesses a huge amount of terrain, so even if the areas close to the lift get tracked out, there’s always more fresh lines to seek out. As the upper part of the mountain is above the tree line it offers more open alpine-like terrain where you can rip some big turns. It’s also more exposed to the weather though, so the snow can be wind affected. Below tree line the snow is usually primo Hokkaido blower pow. There are several other similar resorts close to Asahidake that make great road trip material. Both Furano and Kurodake have plentiful snow and terrain to keep the pow-seeking road tripper happy for days. Japan’s main island of Honshu is also a great place for a roadtrip. There are more than 500 ski resorts on Honshu and many are small, quiet spots that are perfect to hit for a day or two. Flory Kern Mountain Guides run an 8 day road trip that visits several super secret spots. Expect to spend time riding the lifts as well as ski touring to find the best snow and terrain possible. Whatever mode of access you choose, backcountry skiing in Japan is an experience that should be on every powder hungry skier and snowboarder’s list.